How is it New Years eve tomorrow! I feel as though it was the beginning of 2017 was only a couple of months ago...where has this year gone! As much as I'm shocked at how fast the year has gone by, I'm excited and motivated for 2018 with more exciting and varied blog content, veganuary and hopefully a more active lifestyle with a couple of big events already planned for spring 2018. However, before all of that, we have New Years eve which for me is usually spent with neighbours and friends which I absolutely love but I always feel like there is so much pressure to go somewhere or do something special for New Years eve and along with that goes glam, sparkly makeup looks...I'm all for glitter but I don't what to be wearing that until the small hours. Today's post will be the final post of 2017 and I'm going to be showing you some of my current beauty favourites, what I will be wearing for New Years eve/New Years day and some product recommendations for a long lasting makeup look. I'm not going with the typical glitter filled makeup for NYE but it is long lasting, polished, simple and easy to create as well as something you don't have to worry about or touch up. I was kindly sent these lovely, long lasting products from the amazing people over at Just My Look, who I've been lucky enough to work with before. Just My Look has an amazing range of makeup from brands such as Milani, The Ordinary, Sleek, TheBalm, Urban Decay and many more as well as haircare, body and nail products. Let's start with the primer as this makeup look has to last for much longer than my makeup usually has to last so primer is key. 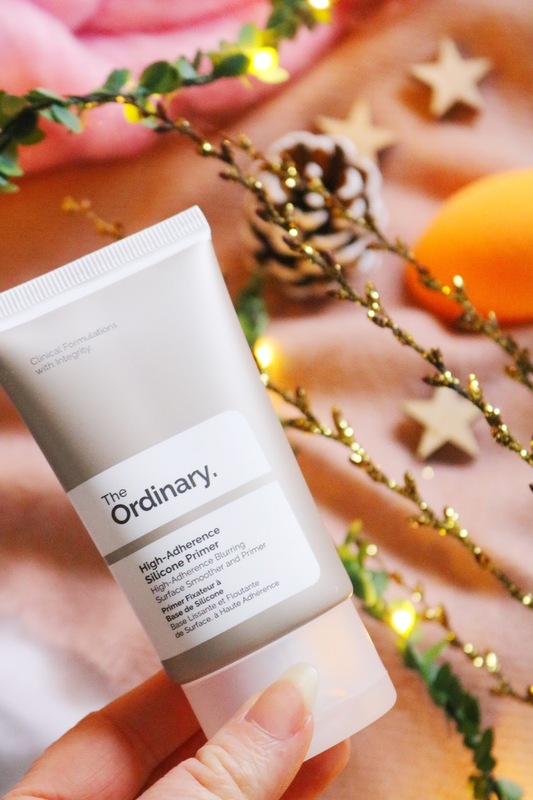 I've tried The Ordinary High Spreadability Fluid Primer which I love but this is much more convenient as it's in a tube container and it helps to create a smooth base for my foundation and concealer. I'd definitely recommend either of these primers, especially if you need your makeup to last much longer than it normally would. The Nars Pro Prime and Too Faced Hangover Primer are great options too! Most of my foundations are quite long lasting, even if they don't specifically claim to be but one that is guaranteed to stay put (at least on my normal to dry and sensitive skin) is this offering from Milani. I have the shade 00A Porcelain which is the lightest shade of foundation that I own, it's almost too pale but it's great for my skin tone during the winter months. On me, this foundation lasts all day, it has great coverage, the shade is fantastic for anyone who is ghostly pale and it's water/sweatproof. I'd also recommend the Bourjois 10 Hour Sleep Effect Foundation for another long lasting foundation for those with dry skin. Buy any two Milani products and get a free Milani eyeshadow palette with the code: MILANI. During the colder months, my skin becomes even more dry so primers, moisturisers and makeup sponges are essentials. I love the Real Techniques foundation sponges to apply and blend my foundation, concealer and even powder for a polished, perfectly blended finish especially on my dry skin. Buy any two Real Techniques products and get a free brush cleanser using the code: REALTECH. I have wanted to try this product for so long but I always forgot about it or something new intrigues me more but it's a fantastic, inexpensive lip product. I have the shade 'birthday suit' which is a gorgeous everyday, rosy pink that applies like a dream even on chapped lips. It does dry down to a more matte finish but it still feels comfortable and it lasts for a while on me without really transferring. I'd also recommend TheBalm Meet Matt(e) Hughes Liquid Lipsticks for another long lasting lip colour recommendation. Buy any two Sleek items and get a free silicone makeup sponge using the code: SLEEK. What will you be doing for NYE? Staying in or going out? Do you have any long lasting makeup recommendations? 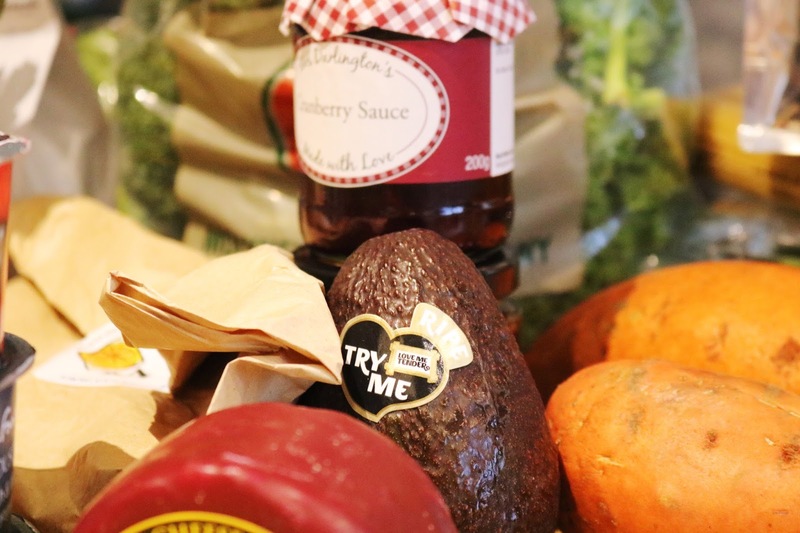 I am lucky enough to be a DegustaBox ambassador so I received their boxes every month; I also receive a couple of items from their other boxes (alcoholic drinks etc) that you might not received in your box. I have loved every single box, it's a food subscription box, so obviously I'm going to love it but sadly this is the last box for 2017. Each months box contains between 10 to 15 food, drink and snack items which I think is fantastic considering the low price and if you use the discount code KVAA2 it will make the box £5.99 instead of £12.99. Let's start with one of the most unusual items I've received because it is a milk based drink that is supposed to help you sleep due to the valerian in it which is a traditional herb used for thousands of years. I adore the packaging and the drink itself tasted delicious (similar to something I had as a child but I can't put my finger on it). I think it did help me sleep and sleep through the night without waking up which is great! I drink cordial or fruit juice all of the time as I cannot stand water on its own so this is perfect for me and I have the 'pear, blackcurrant and cherry' flavour which as with the previous drink is delicious. You could have received the one I did or there is another flavour that you could have received instead. 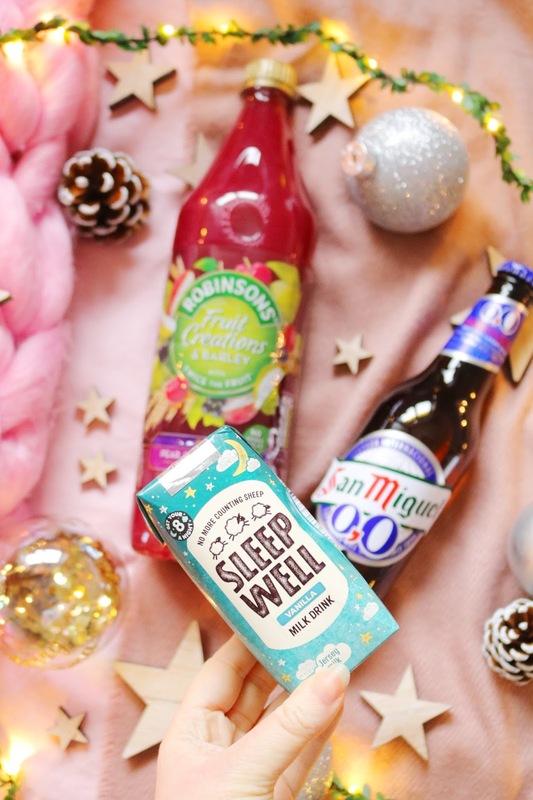 I drink very, very little and it's only really on social occasions so I'm so glad to see a non-alcoholic drink in the December box so it's perfect for the festive season or new year so those who want something different to drink can take part but without the alcohol! I received another product from this brand in the November box and I did actually use them in a Christmas cookie mix I made as well as little snacks over Christmas. This month I received two packets of nuts from them including the 'protein mix' and the 'energy' mix. I'll definitely be eating the 'protein mix' over the next few days. I received one of these packets already in my November LowToxBox and I didn't really like them after the first couple as they just aren't for me. However, you could also received the 'smoked ham' flavour in your December box. Another item we've received in a previous box however I do like them so it's ok! 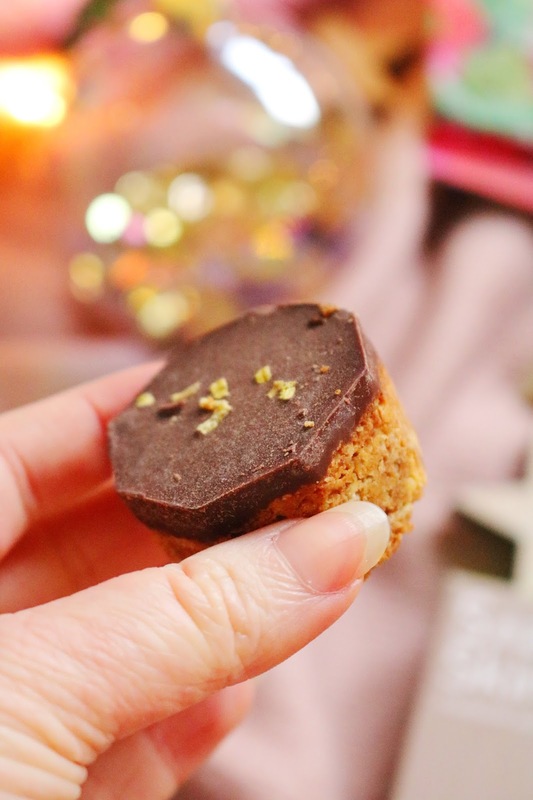 The rye 'cakes' are high in fibre, low in fat and they make a great snack with hummus, cheese, veggies or you could even make them a salty but sweet snack by adding peanut butter or pistachio spread. This item didn't even make it a few minutes after photographing it as I love orange juice and this one was delicious! 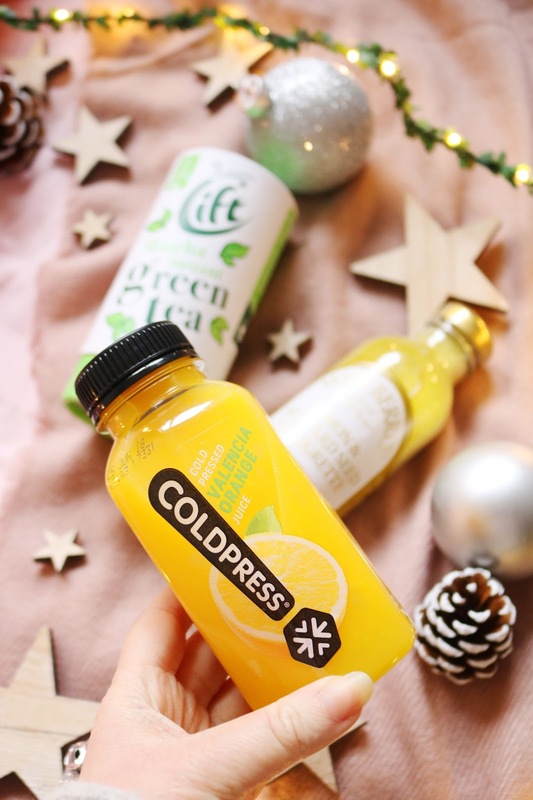 I love the packaging too and I definitely prefer cold pressed juice as they contain more vitamins and nutrients. You could have received an apple juice instead - I'd definitely buy this in the future! Next up is an item that isn't on the leaflet so it must be part of one of their other boxes but as I'm an ambassador, I received items from other boxes. I do love green tea as well as herbal and mint tea so this item is great as it contains 15 stick sachets which is great for work or on the go. I haven't tried it yet as I have so much tea that is already open but it will be used throughout January. Who knew that Mary Berry (the nations grandma) had her own food range! I certainly didn't know and I haven't seen any of her products in stores. This vinaigrette is great as a salad dressing or even as a pasta salad dressing. With the new Star Wars film just being released I didn't expect a Star Wars snack in the box but I'm glad it's in there...even though Chewbacca scared me initially! I received the barbecue flavour but I wish that I'd received the sour cream and chive option as it's my favourite crisp flavour but I'll still eat and share these! If you use the code KVAA2 then even just with this item, the box will have more than paid for itself as the code gives you a box for only £5.99 and these chocolates are £6.59 - how amazing is that! I've heard about this brand for a while (I think he had a TV series years ago) so I was definitely intrigued to see this item along with all of the leaflets about it such as how the chocolate is made! I have the passionfruit caramel flavour which sounds incredible and I can't wait to try them. Now, I was so excited to see these as I do have a weakness for sweets especially sour sweets but sadly they contain beef gelatine...so I can't eat them. 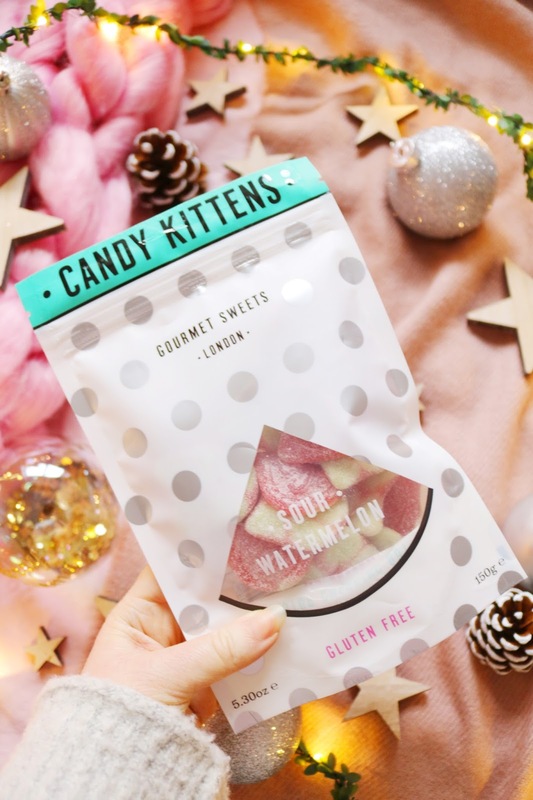 I know that this brand does have a few vegan options so I definitely want to try those particularly as the packaging is adorable but sadly these will have to be passed onto a friend. Overall, despite a couple of items I've received before and the sweets, it was another great box! I loved the juice, cordial, Popchips and the surprisingly effective Sleep Well drink. You get so much for your money and they are a great surprise each month, I cannot recommend them enough! If you use the discount code KVAA2 it will make the box £5.99 instead of £12.99! What do you think of the December box? Have you used the discount code? Last month I was very kindly sent the November LoxToxBox which was the first box from them that I've tried. They are a fairly new subscription box on the market and what makes them so unique is that they are focused on beauty, lifestyle and food items that are natural, green, organic or environmentally friendly which I think is absolutely fantastic. Additionally for each box that is purchased, a tree is planted which again is so wonderful! 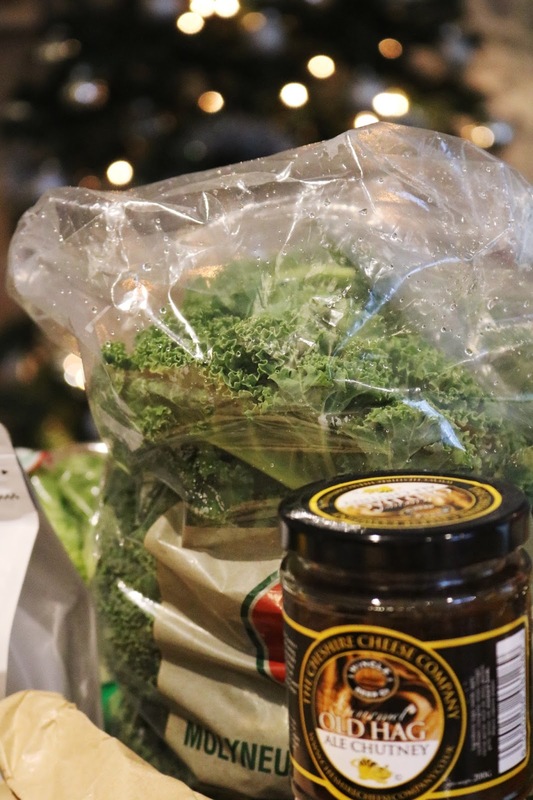 I loved the November box as it contained such a wide variety of products, some of which I didn't even know existed and a few items that were so delicious. 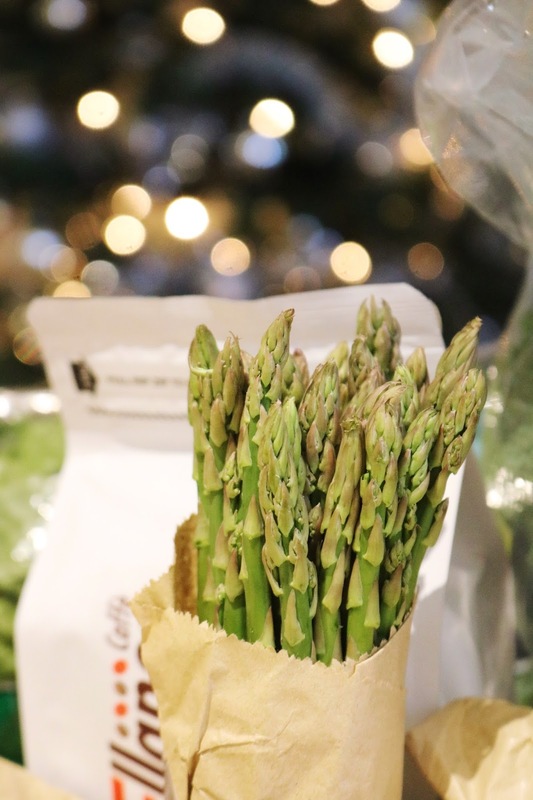 I think it is one of the most diverse and also environmentally friendly, green boxes I've tried (and I've tried a lot as I also write for the All Subscription Boxes website in which I review...subscription boxes). Each box doesn't have a specific theme, I think it would be amazing if it did but each one does contain a wide variety of beauty, lifestyle and food items from a range of brands that most of the time, I haven't heard of which is great! 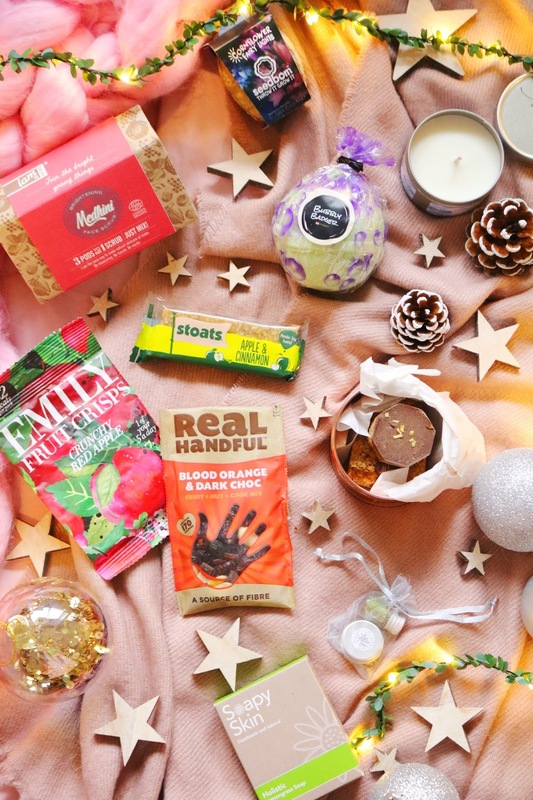 This month box contains snacks, festive glitter, toiletries, beauty items and something for the garden. I adore subscription boxes, there are so many that I love and would recommend but sometimes they can be a little generic or samey but this one is so unique, diverse and it's always interesting to see what is in each months box! Compared to other subscription boxes, the price is a little high but it does include postage and for the number of items you receive in each box (for the December box there were nine items, all but one of which were full sized) which is a great deal. Also a tree is planted for each box sold so you're doing a little bit to help the plant. Let's first talk about the snack items the were included within the December box as there were four snacks, two of which I've already tried...I couldn't wait. The first were Emily Fruit Crisps in the Red Apple flavour which were the first to be consumed and I loved them! I'm a fan of baked fruit snacks and dried fruit as it satisfies my sweet cravings in a healthy way. 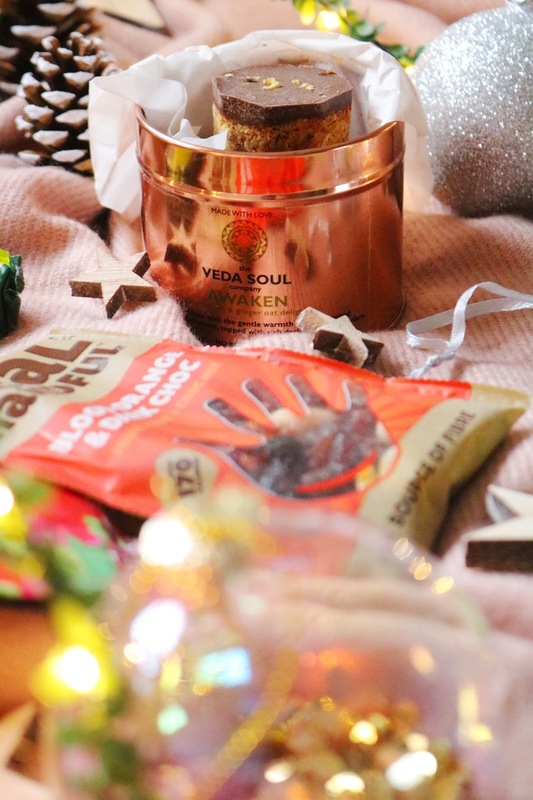 I've also already tried the Veda Soul Awaken Flapjacks, well they are flapjacks to me but with lemon, ginger and chocolate. They are very fancy flapjacks, not just because the flavour is much more luxe and rich than a typical flapjack but the packaging is stunning! They came in a gorgeous copper tin that I will definitely be re-using if I can remove the label. The two snacks that I haven't tried include the Real Handful Blood Orange & Dark Choc Mix which contains blood orange flavoured sultanas, cranberries, dark chocolate pieces and peanuts - I'll definitely be eating this soon. I also received the Stoats Apple & Cinnamon Bar which will be a perfect snack to keep in my handbag. Next up, the beauty items and I haven't heard of any of them which is great as usually with beauty subscription boxes, I've received the same brands and even the same products, over and over again. One of the most unusual items is the Medhini Face Scrub which seems to be a kit in which you mix your own face scrub...I haven't come across anything like this before but it sounds interesting! There was also a bath bomb in the box and we all know how much I love bath bombs! The one I received is from Bubbly Badger London which is a vegan candle, bath bomb, lip balm and soap company! I'm not sure which scent I have but it might be the 'apple pie and custard' one, even so, it smells sweet and delicious. Another product that also smells lovely is the Soapy Skin Holistic Lemongrass Soap which is handmade using natural ingredients such as essential oils. It's suitable for vegans and it isn't tested on animals. Lemongrass is such a nice scent but it can be a little too strong, however this one is quite sweet which I definitely prefer. 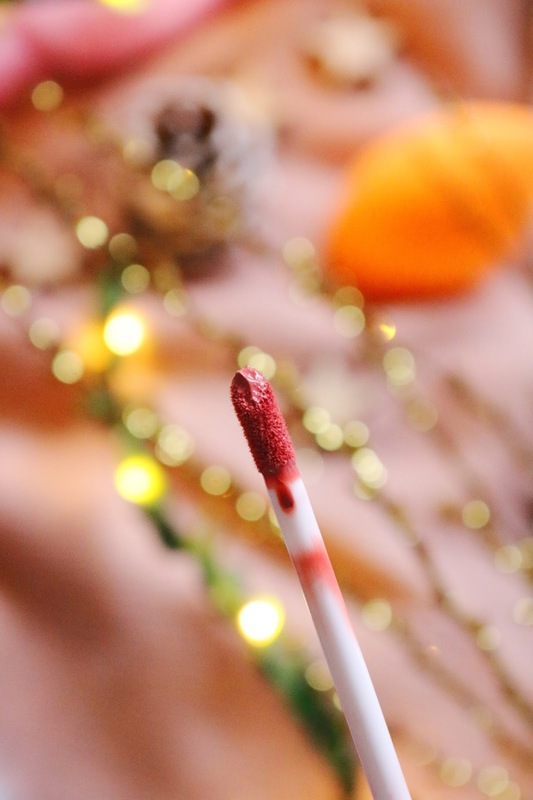 The final beauty item is a small sample of the Eco Glitter Fun Biodegradable Glitter. It also comes with a little pot of what I assume is a gel to help adhere the glitter to the skin. The glitter is a very festive mix of gold, red and green and I'm not sure what I'll use it for yet but it is very pretty. 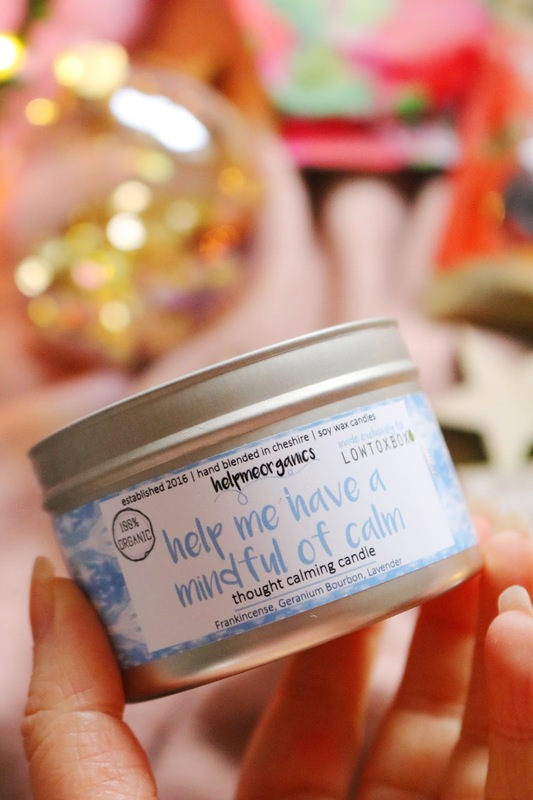 The final two items are more lifestyle products such as the gorgeous Help Me Organics Thought Calming Candle which contains frankincense, geranium and lavender so naturally I love the scent as lavender is one fo my all time favourite scents! It's 100% organic, handmade in Cheshire and it contains soy wax which is better for the environment and your health. The scent is lovely but quite subtle unfortunately. Lastly, I received the Seedbom Cornflower Fairy Lights which is a very unusual item but one I've seen before and almost bought for my mum a few times as it is a great gift for a gardener. It is a grenade shaped biodegradable container that is filled with polkadot cornflower seeds so you just throw it somewhere within your garden or plant it and you'll see colourful flowers soon after. I know my mum will love this so I'm very glad that it was in the December LoxToxBox. Have you tried the LoxToxBox? Have you tried any of these products or snacks? The Christmas rush has started as Christmas is...next week! When did that happen? 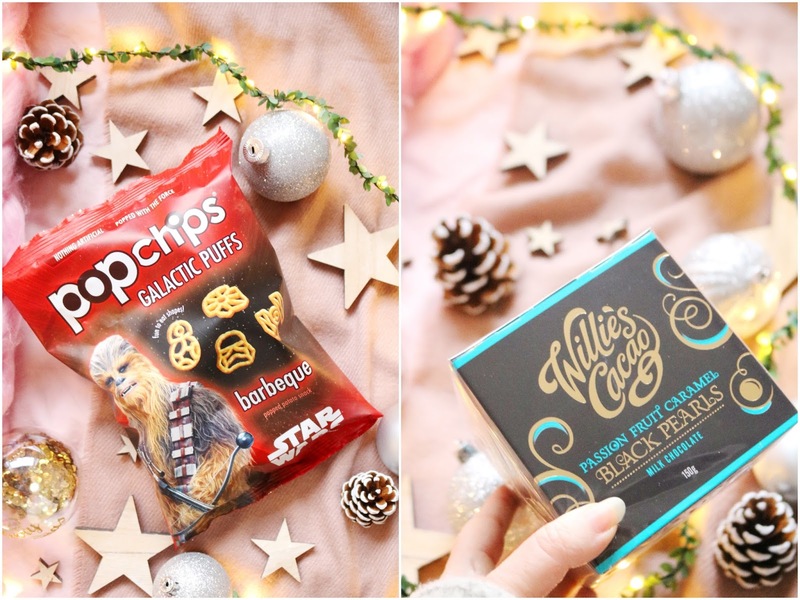 I have already post quite a few Christmas gift guides on my blog which you can read if you want even more gift ideas but today's post is focusing on just one gift and it's a bloggers dream gift! I was very kindly sent this incredible nine piece cocktail set from the lovely people over at Domu.co.uk and I think it might be one of my most beautiful gift sets I've included in a post all year, although there have been so many wonderful gifts, all of which I'd recommend otherwise I wouldn't have included them. The set is well presented and everything is well padded; it would be a great idea to keep everything in the box as it's a great storage box. It comes with nine items including a 550ml cocktail shaker, muddler, stainless steel twisted double-ended bar spoon/fork, stainless steel Hawthorne strainer and double ended stainless steel 25ml/50ml shot measuring jigger. All of the items are made from stainless steel but they have a stunning, very photogenic copper finish to them which to be honest is my favourite thing about this set because as a whole it looks so expensive, striking and so beautiful even though it does attract finger prints but it is worth it for how gorgeous the set looks together. It also comes with a recipe booklet to make delicious cocktails or you could substitute ingredients to make a festive mocktail. The booklet includes recipes for a margarita, peach bellini, cosmopolitan, Pina colada and a raspberry daiquiri, the latter sound so delicious! However, there are even more on the Vonshef website. Your gift recipient can also apply for an extended two year warranty on the Domu website! 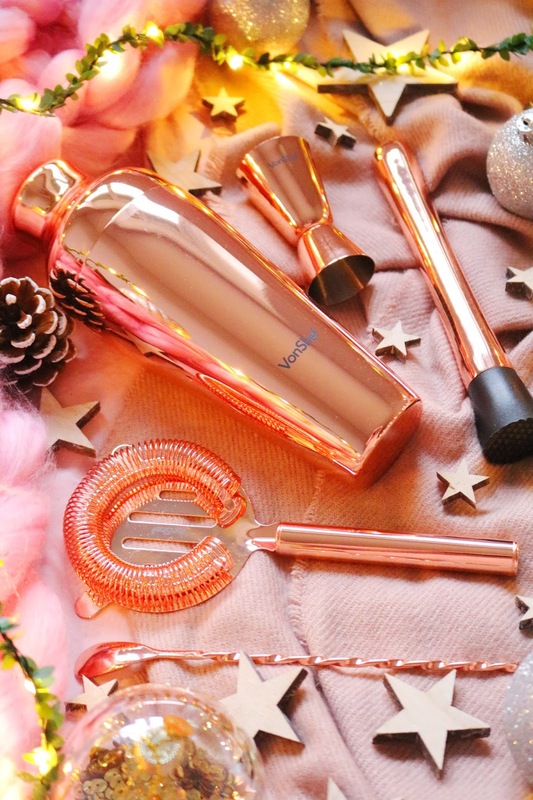 I cannot recommend this set enough but if you want more copper goodness then they also have beautiful martini glasses, pan sets, a coffee capsule holder, wine glasses, canisters, a water pitcher and more, all of which are copper...yes! However, if you aren't a fan of copper (what's wrong with you), they do have black, gold and stainless steel options. 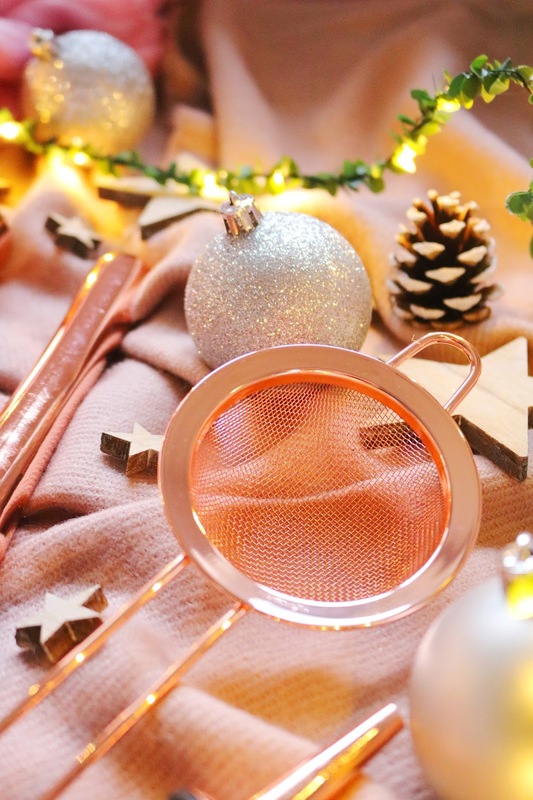 Overall, I adore this copper cocktail set and I think would make a fantastic, beautiful and substantial gift this Christmas for friends or family members. I think the price is great considering the quality, how well presented it is and how many items you receive in the gift set. I know so many of my friends and cousins would absolutely love this set! I also reviewed one of their stand mixers this year which I adored and I'd recommend it too. I have my eye on so many of their items especially the fitness equipment as 2018 is going to be the year of fitness, exercise and stepping out of my comfort zone! 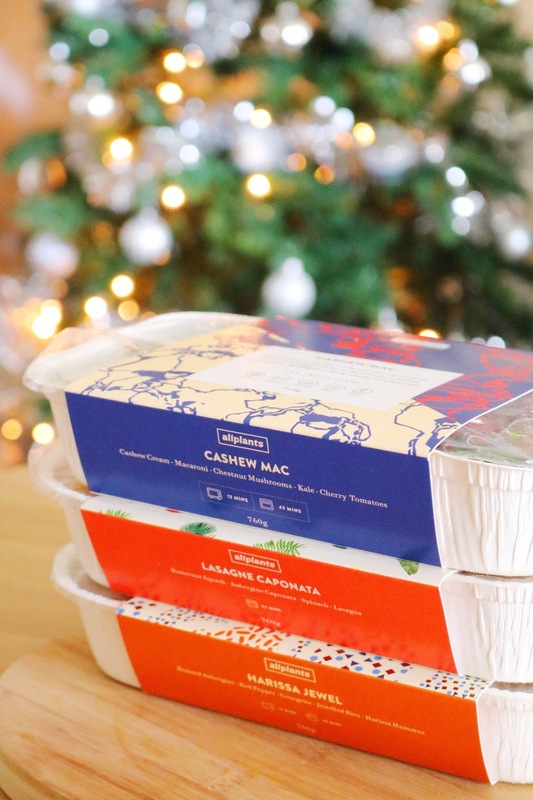 If you order today then you'll receive your gifts in time for Christmas with the £1.99 next day delivery option on Domu.co.uk. They have a countdown timer on their website so you know if you have time to order or not. What do you think of this cocktail set? 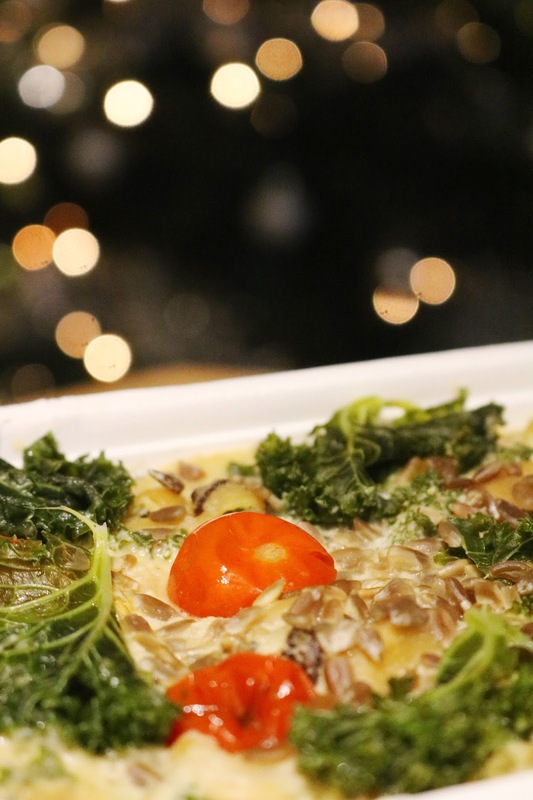 Have you tried anything from the Domu website? 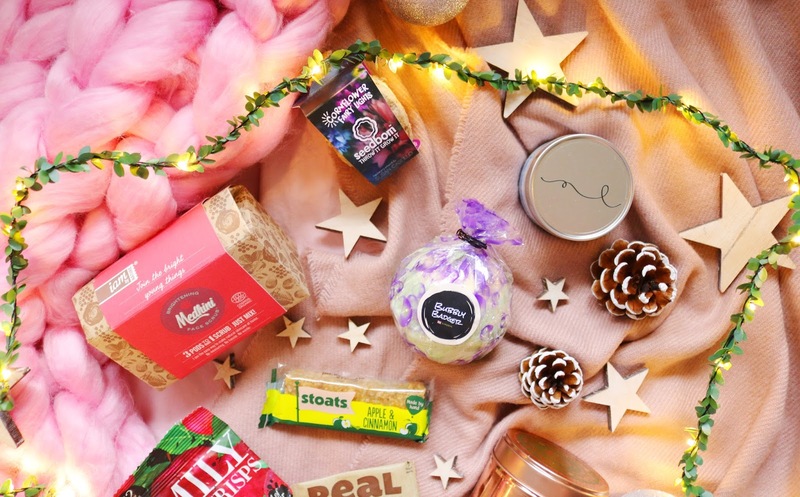 Today's post is full of exciting gift ideas and sets from so many lovely brands but it's also a little melancholy as it's my final gift guide post for 2017! I can't understand how the past few months have gone by so incredibly quickly and Christmas is almost here which is madness! If you still need to buy gifts for friends or family members you need to hurry and order as soon as you can as for most sites you still have time to get your gifts before Christmas if you choose the express or next day delivery option. As I'm writing this I've had to put all of the lights on in the house as it's only 3pm and it is so dull and dark outside so this first item is ideal for this time of the year. 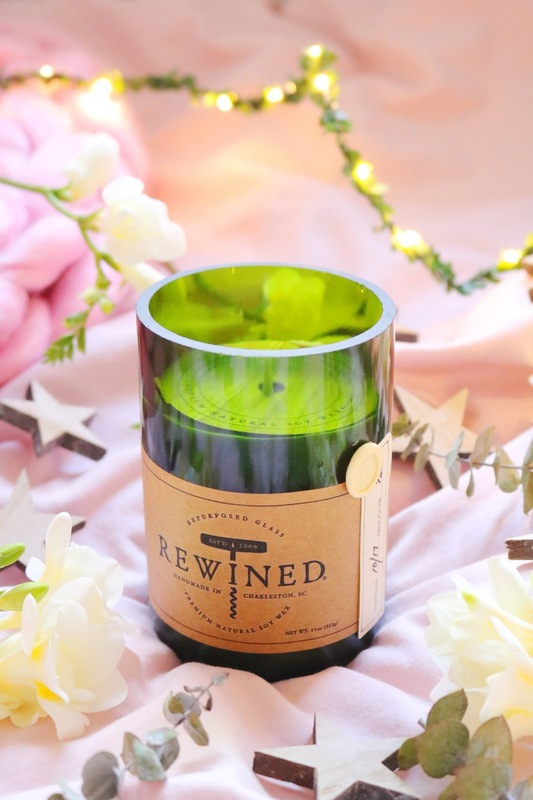 Rewined Candles are such a perfect gift as candles are not only a safe gift option but the container of this one is a wine bottle. Also the scent of the candle I received is champagne...it's a champagne scented candle and believe me when I say, it smells like refreshing, bubbly champagne! I don't understand how they can obtain that unique, bubbly fresh champagne scent and transfer it to candle form. Each candle looks like a vintage, luxe wine bottle and they are all handmade in Charleston, South Carolina - you know how I feel about lovely handmade gifts. It contains sweet notes of white grape, honey, fresh baked bread and citrus, it is one of the most unique candle scents I've ever come across! Your gift recipient will be so happy with this special candle that will produce 'oohs' and 'aahs' from everyone. I also tried a couple of little tea lights of their other scents and they were lovely too. Definitely check out Beyond Living for unique candles! 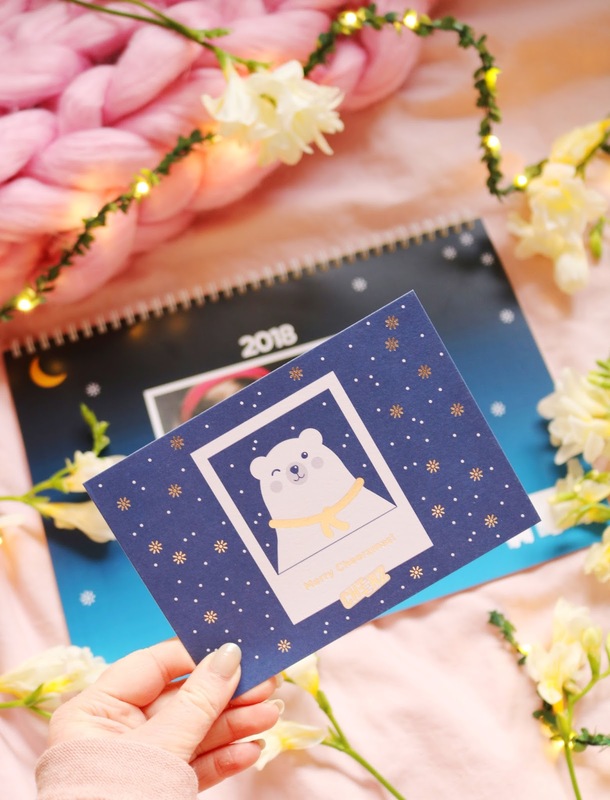 The time might have passed for you to be able to get your Cheerz gifts in time for christmas but the rest of the range would make wonderful gifts all year round or you could be super organised (maybe too organised) like me and order some christmas gifts for next year...Use the code: QPLJM2 to get £5 off a £20 spend! 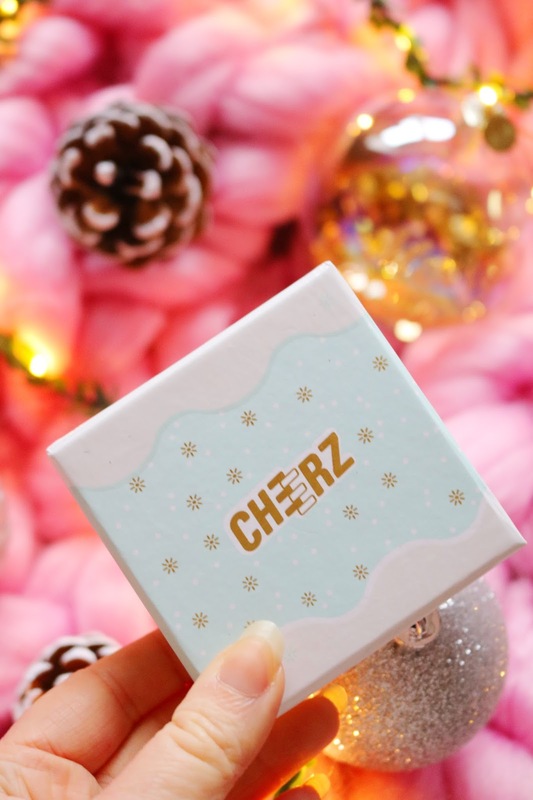 I've reviewed quite a few wonderful gifts from Cheerz this Christmas season including their paperback photo album, photo box and magnets, all of which would make amazing, special and thoughtful gifts for Christmas. I made this lovely Christmas themed calendar (it's limited edition so you will have to be quick if you want one for Christmas or as a gift for next year). I made it for my grandad using photos of myself and my sister growing up, including the photo above of myself and my mum which I love! 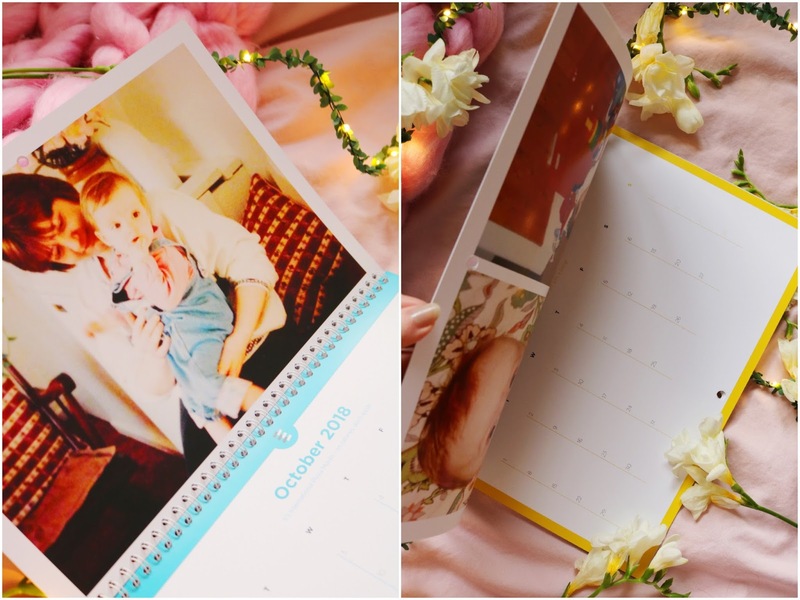 You can personalised the cover photo, the photos for each month and you can add birthdays or special dates to the calendar. I love how the photos came out, I think my grandad will absolutely love his calendar and it would make a pretty, special and practical gift. I cannot recommend Cheerz enough! You might be able to order, if you use express delivery to get it but you will have to be lightning fast. 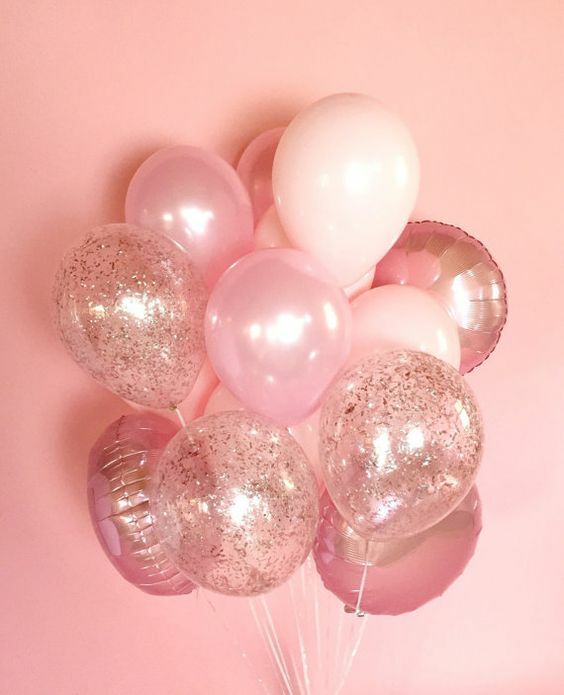 Don't forget to use the code: QPLJM2 to get £5 off a £20 spend! 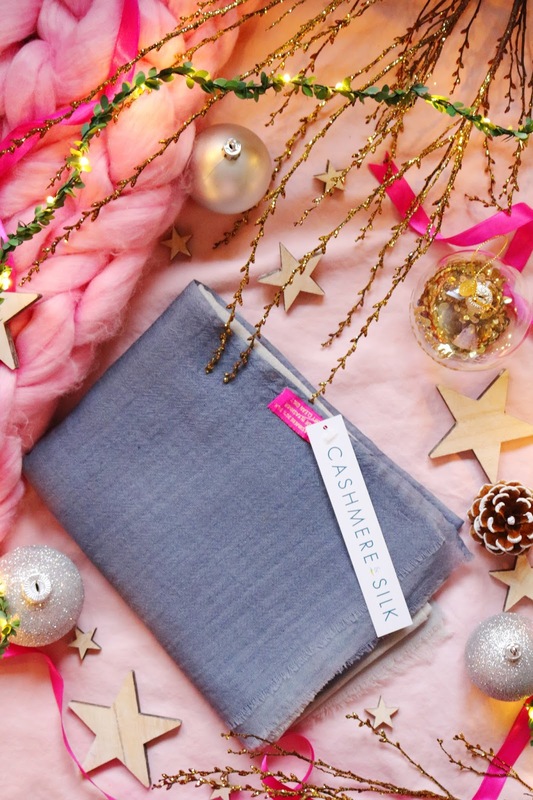 This next item is not only incredibly beautiful but it's the most luxurious item in today's gift guide as it's a divine silk scarf that came beautifully packaged and presented. I was sent it by the incredibly generous people over at Rampley & Co London and I chose the 'Bird on Branch Watching Spiders' design. My choice must have been a popular one with customers as this design is sadly sold out as I'm writing this (20/12/2017) but there are so many other gorgeous designs and styles to choose from. You can enter your email on the product page to be notified when it comes back in-stock. The scarf I have is the 90cm by 5cm version which is a more unusual but chic option and something your christmas gift recipient might not already own. It can be worn around the neck, wrist or the hair. Additionally you can add it to the handle of your handbag or as an almost fake tie effect. I haven't worn a skinny scarf such as this before so it will take some time to find a style I like best on myself but I absolutely adore it especially the gorgeous print. It is reversible so as well as the lovely bird design, you also have a grey and pink polka dot design on the opposite side too. The design of this scarf is inspired by a painting by Watanabe Seitei from circa 1887 and I think it would appeal to so many people, myself included, obviously. I think a 100% silk scarf would make a wonderful, special and luxurious gift this Christmas! 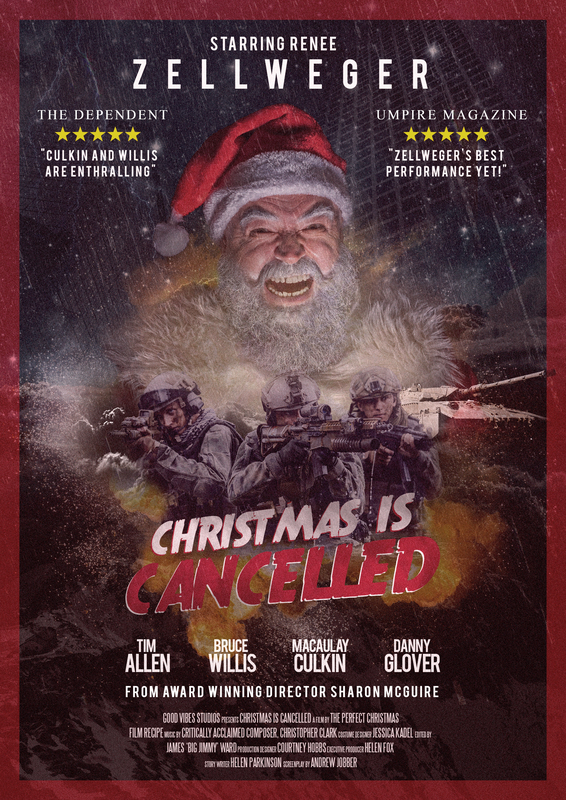 You can still order in time for Christmas if you email them directly - the email can be found on their website. They have a wide range of other items to choose from too such as larger 90cm by 90cm silk scarves, mens ties and pocket squares as well as handmade braces, umbrellas and socks. 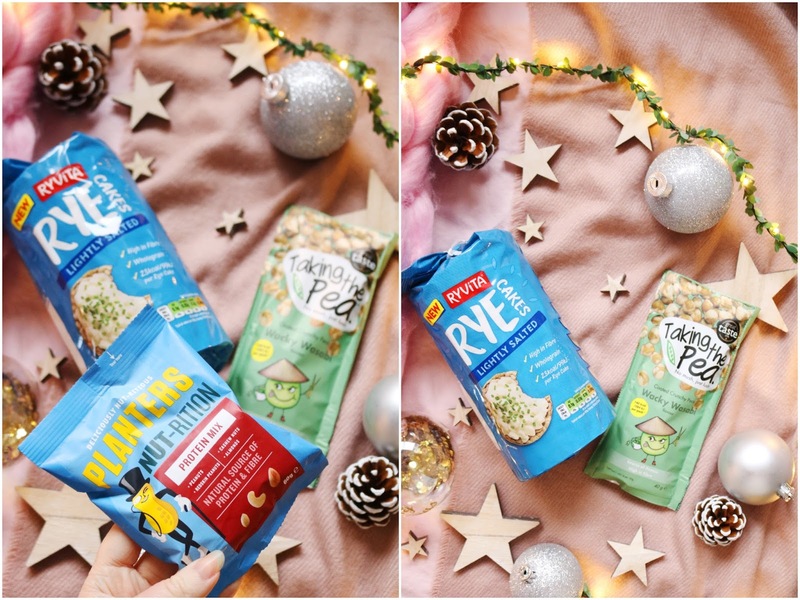 I know that the Hygge bandwagon is officially full and has passed on but I'm still all for the cosy nights in with candles, a festive film and foodie treats (I didn't choose the hygge life, the hygge life chose me). So any gift sets that contain candles and diffusers will be perfect for the hygge lovers in your life. This set contains everything you need to give your home a subtly christmassy fragrance in the form of a room spray, candle and diffuser. It's a great set for those people that you don't know quite as well because there are a range of products so if they don't always like candles then they can use the room spray and diffuser more often. You can find this set on John Lewis and their last order dates for delivery to a store is the 22nd, standard home delivery is TODAY by 9pm and delivery to Collect+ shops is TOMORROW by 2pm. 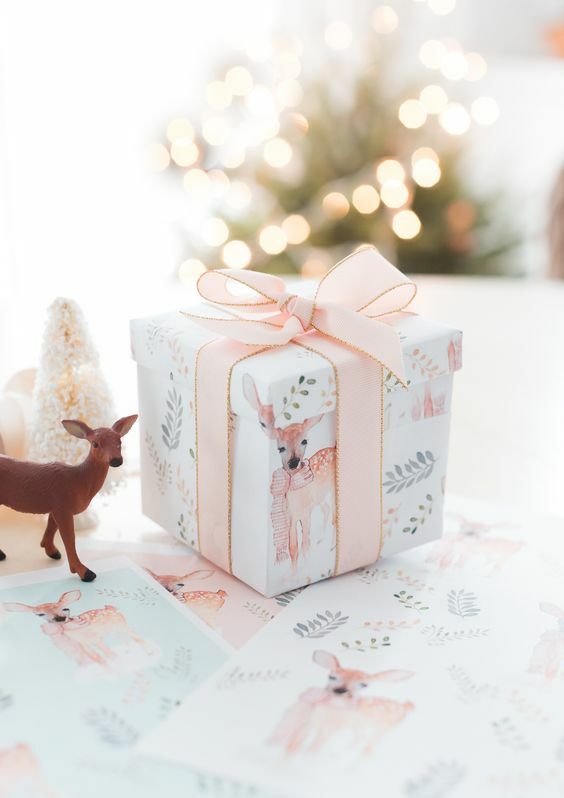 For the cover lovers in your life, you cannot go wrong with any of the gorgeous festive gift sets from We Are Littles as there are so many to choose from with prices ranging from £2.75 to £10. They would make great secret santa gifts, gifts for colleagues or stocking fillers. They even have a 'Christmas spirit' flavoured coffee that is just for the Christmas period. 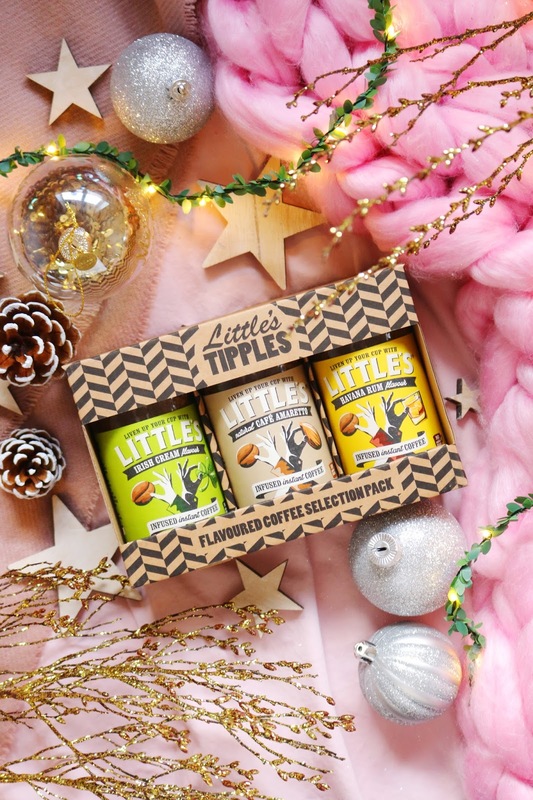 I was very kindly sent the 'a little tipple' gift set which contains three flavour options including Irish cream, Cafe Amaretto and Havana Rum, all of which sound so delicious. I've reviewed a few of them previously and my favourite has to be either Swiss Chocolate, Spicy Cardamon or French Vanilla. I'm definitely excited to try the Havana Rum flavour coffee as it sound so unique. Each container is a great size so you can fully try them out before buying the full size of your favourites. 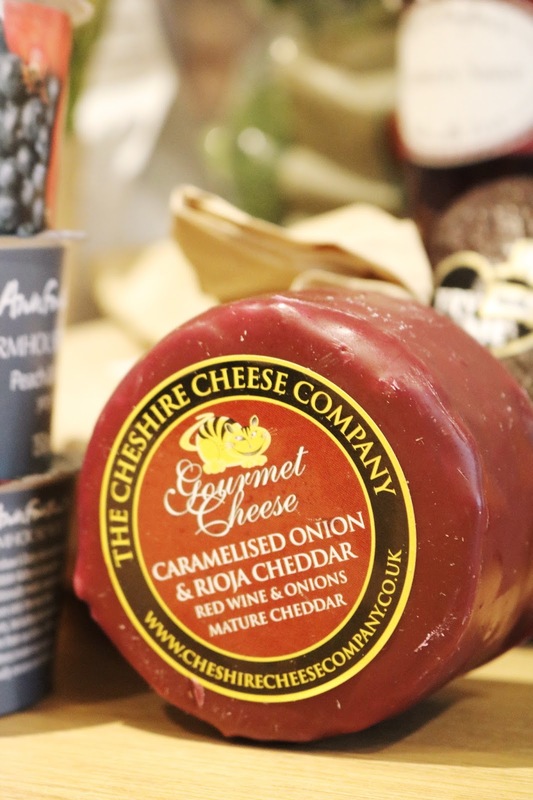 Order ASAP if you want it delivered in time or you can find the individual flavours on sale in Sainsbury's, Waitrose, Selfridges and more. 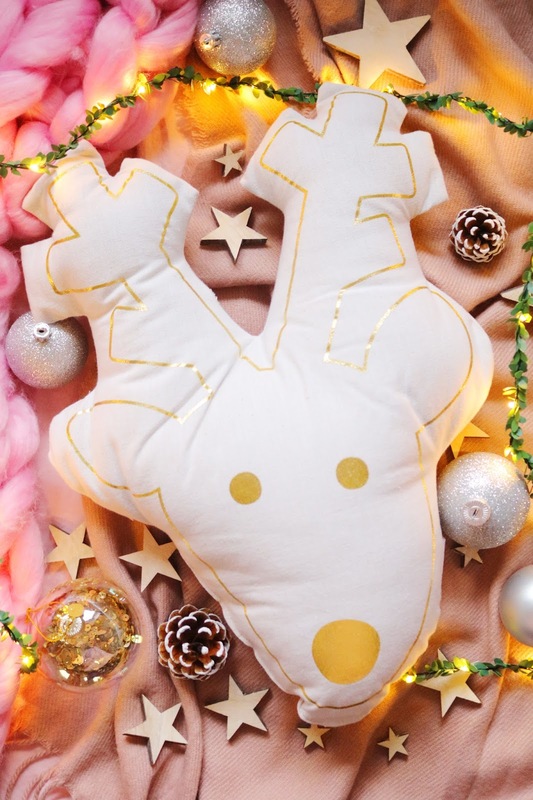 Now onto what has to be the cutest item in the gift guide as it's an adorable reindeer cushion from Hema. Hema is a homeware, lifestyle, clothing and food store that stocks pretty much everything from phone cables, candles and snacks to stationary, gift ideas, clothing, beauty products, childrens toys, party supplies and even more. They are based in the Netherlands but shipping to the UK is quick and easy (I made and order a year or so ago and there were no problems). I love the design of this cushion as it's so minimal and simple but also very festive, cute and perfect for your living room or a childs bedroom this christmas time. It would make a lovely childrens gift or gift for the home and for the price you can't go wrong with Hema! 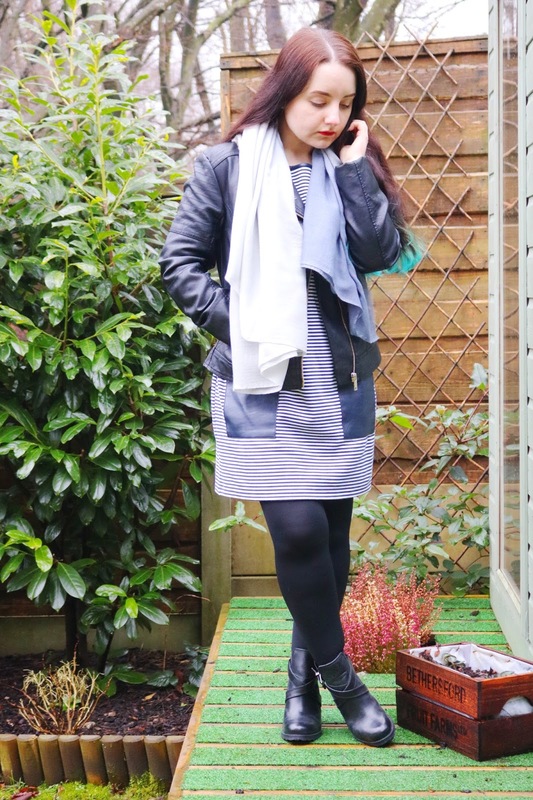 The second item I was very kindly sent from Hema is a gorgeous deep navy, grey and cream throw which is a little more on the higher price range for Hema but the quality is fantastic and the throw itself is huge at 130 by 150cm. It's soft and thick but it also feels very durable and long lasting. I think it will look great in the summer house to be all cosy during the cold winter weather. I cannot recommend Hema products enough, I've bought them myself and I adore their stationery, candles and homeware. I've also bought the stroopwaffles which were so delicious! If you order online now, your order might not get to you in time for Christmas but there is a little Hema store in London Euston (we didn't have time to go in when we were there in the summer) and they have just opened their flagship store on Tottenham Court Road - it's their largest store to date! 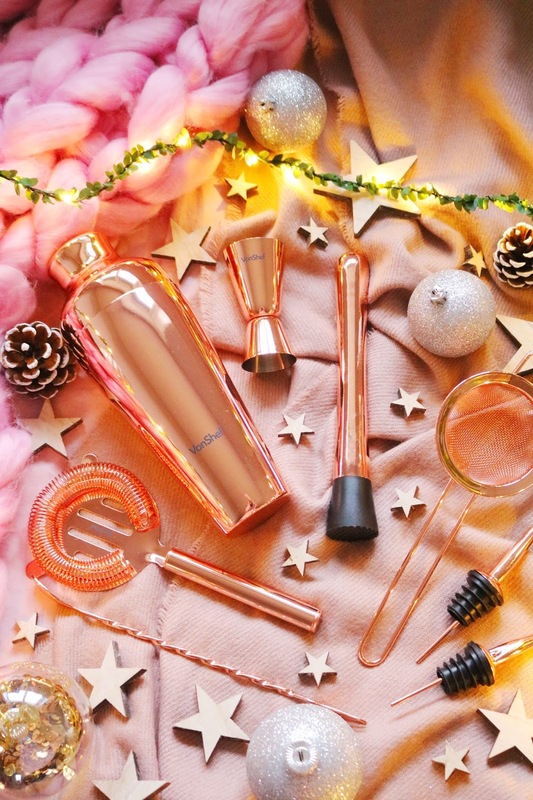 I haven't mentioned any beauty gifts so far in this post so let's show off the cute Leighton Denny duo from the Two Of A Kind collection which looks so perfect for the festive season. The nail polish duo set comes with the shades: Real Treasures and Down Memory Lane. Both shades are gorgeous for winter, they are both a little glitzy and from my experiences, Leighton Denny polishes are fantastic - my aunties swear by Leighton Denny polishes. I think this little duo would be an ideal stocking filler or little gift for the nail polish lovers in your life. One brand that I have never tried anything from, until now, is Fat Face. They do have a store in Manchester but I've never been in however all of their gift sets this year as well as their nightwear and jumpers all look gorgeous! I was kindly sent one of their Christmas gifts, the Hand Cream Gift Set which contains three 40ml hand creams in the scents: camomile & apple, ocean palm and sweet pea. All three scents smell lovely, I adore the packaging and the product sizes are a little bigger than your regular hand creams at 40ml each. 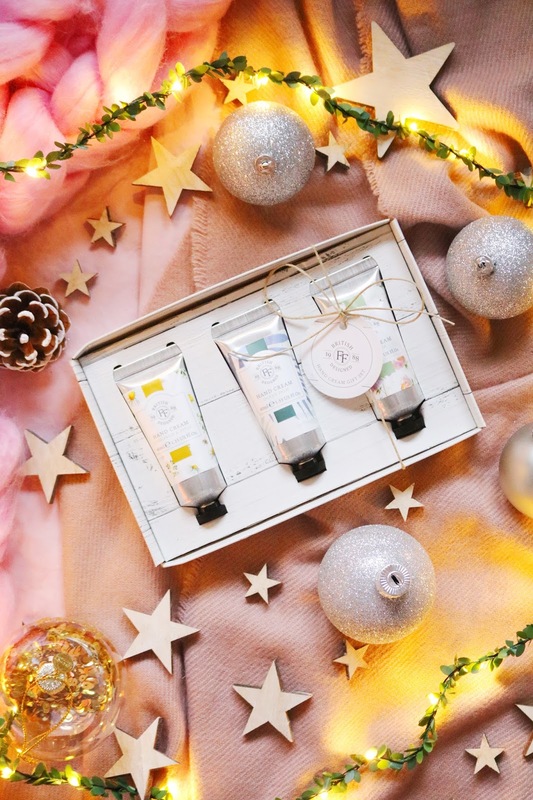 Fat Face products are cruelty free which is amazing and it would make a gorgeous gift for so many people this christmas such as colleagues, friends or as a secret santa gift as everyone needs hand cream especially during the harsh winter months. Order from the Fat Face website by tomorrow to get your gifts in time for christmas. Chocolate is an easy gift at this time of the year but it's always the same thing, selection boxes or tubs of chocolates which I personally don't like *don't hate me*. 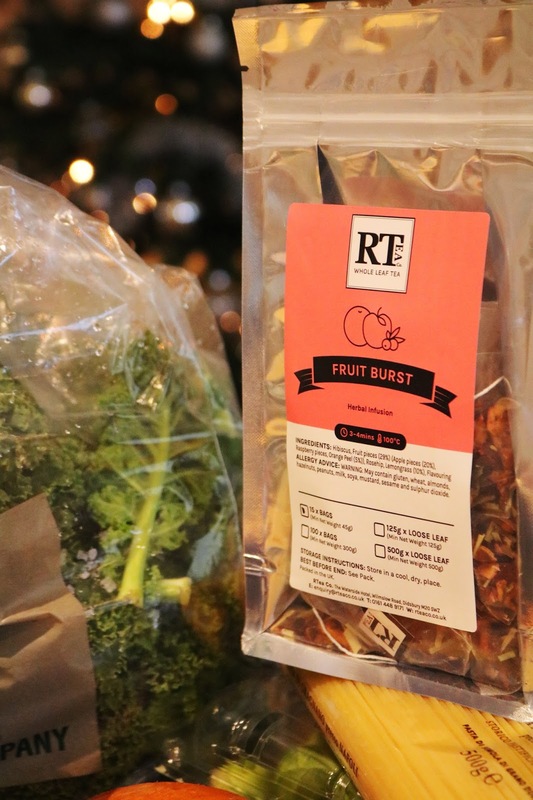 In comes Raw Halo to the rescue with their interesting flavour combinations, unique packaging and organic, vegan offerings. I was sent four of their flavours (thank you!) including milk + pink Himalayan salt, pure dark, dark + sweet orange and pure milk (35g each). 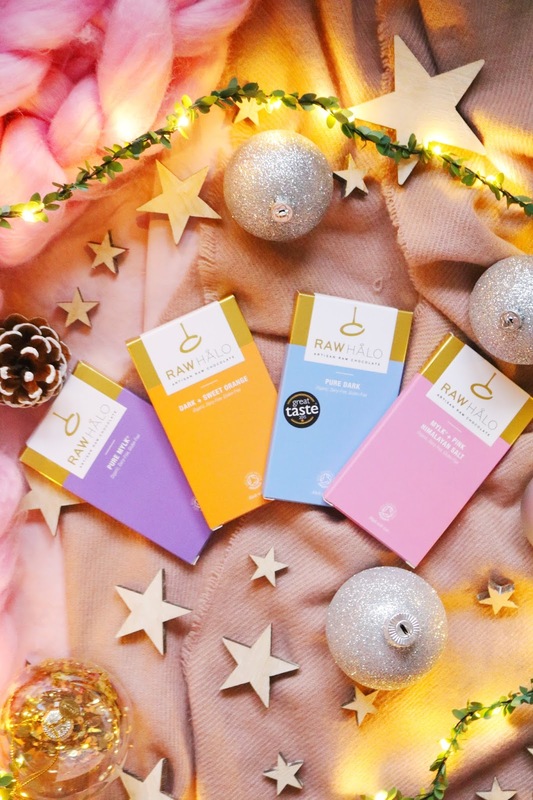 All of these bars are vegan as well as organic and gluten free so if you need a gift for a vegan or coeliac friend or family member then look no further! I love the minimal but striking packaging and the brand ethics. So far I've only tried the milk and pink Himalayan sea salt fully and I adore it as it's rich and indulgent but the bars are fairly thin so it doesn't feel like I'm eating a huge block of sickly chocolate and the sea salt makes it a little sweeter which I love. I'm not a massive chocolate fan but this one is so incredibly moreish! I also really liked the pure milk flavour as well. I'd definitely recommend them as wonderful, unusual stocking fillers. Use the code: RHD20 to get 20% off their site. The penultimate item in my final gift guide (although there might be one or two late arrivals over the next day or so) is also from Cheerz. I mentioned their Christmas calendar earlier in the post but I also wanted to share their adorable Christmas magnets which would make such a special stocking filler this year! For £9.50 you will receive nine square magnets in a lovely Christmas box with your photos on them which I think is such a great deal. The photos are printed so vividly, true to colour and they look great on the fridge as reminders of wonderful moments, memories and holidays. I also adore the cute Christmas themed gift box! You might still be able to get your items in time for Christmas if you use the code: EXPRESSXMAS at the checkout but you will have to be very quick! Last but not least is another special and personalised but practical gift from Go Customized. My iPad mini case is starting to fall apart so an upgrade is definitely needed and why not get one that will not only protect your iPad but one that has a cute or special photograph on it! I chose this photo of Olden, Norway from our trip there back in August. I adore the photo and it is making me want to go back to Norway right now but in the meantime I have a gorgeous image of Norway with me everyday. The case I chose is made of silicone so unlike harder cases, this one is so easy and quick to put on or take off and there is no chance of it scratching your iPad. It also protects the sides of your iPad and the photo is scratch resistant so it's great for those who take their tech on the go or while they travel. 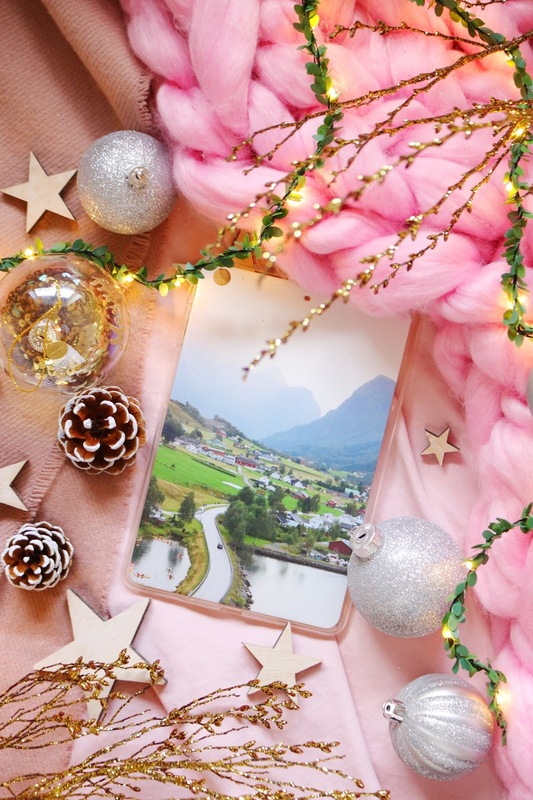 They have so many other case options to choose from for a variety of devices, all of which can be personalised with photos and would make lovely, thoughtful but practical gifts! 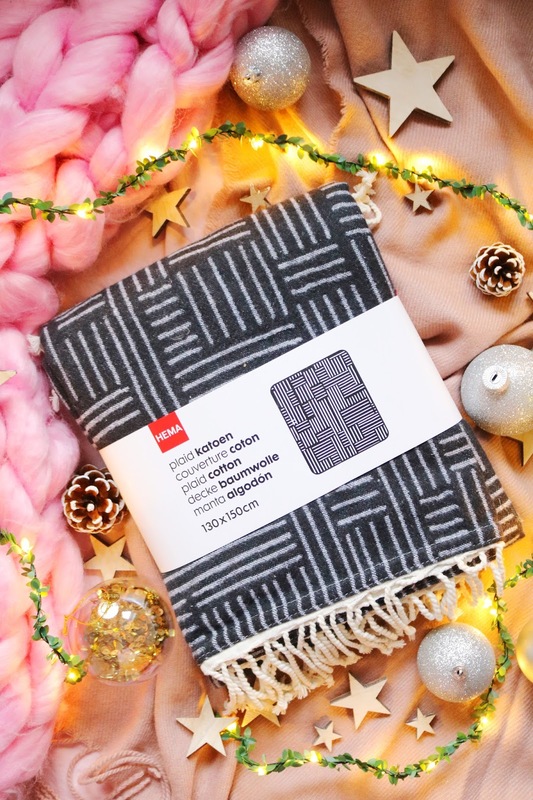 What do you think of my final gift guide of 2017? Have you tried any of these items or brands? 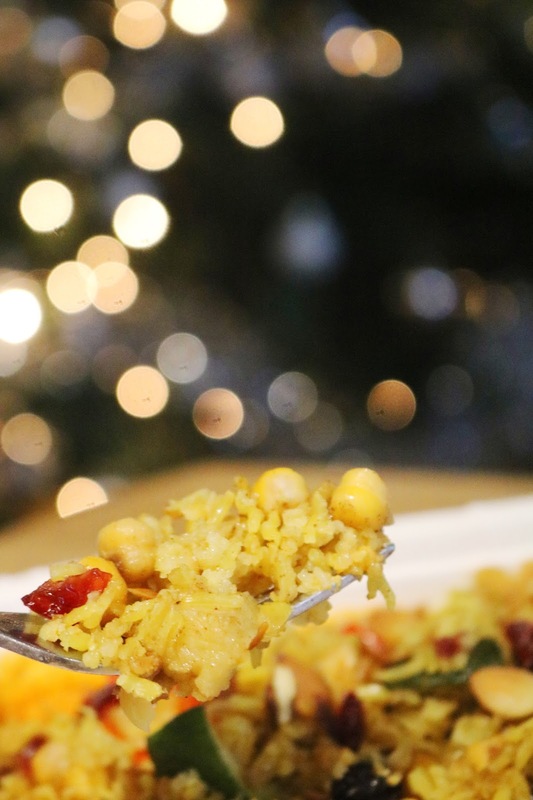 The festive season is in full swing with every supermarket, home, street and school filled with Christmas decorations and festive twinkly lights which I love - the decorations and lights are some of my favourite things about this time of the year! We have our Christmas tree up and more decorations around the house but there is one room that is lacking some Christmas cheer...the office. I work from home as a blogger and freelance writer so I spend 80% of my time in the office typing, answering emails, taking photos, editing photos, editing video clips, making lists, sorting out recycling and all of the social media things I have to do and schedule which can become so stressful and overwhelming especially at this time of the year so why not decorate your home office or your work place to elevate the pre-christmas stress! 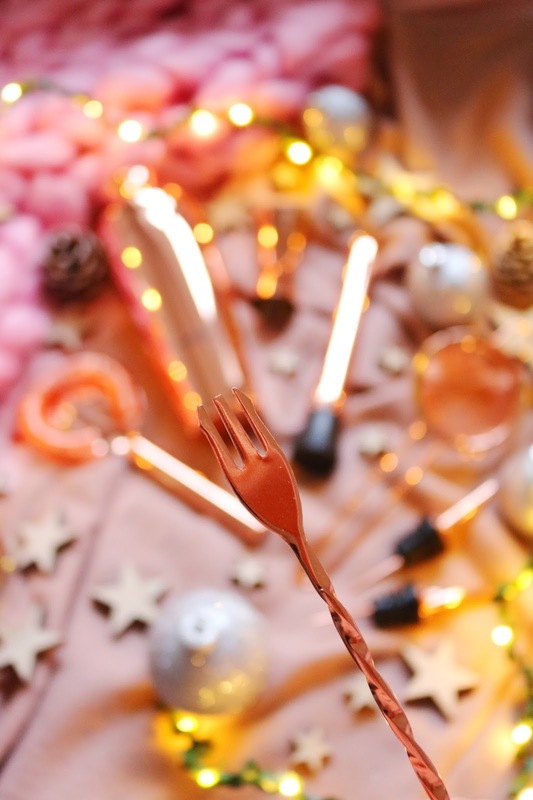 Let's start with one of the easiest but most effective ways to add some pretty festiveness to your work place or home and that's fairy lights. Primark have so many options, all of which are battery powdered so they can be added anywhere and moved easily. Fairy lights instantly put me in a better and more festive mood! Next up, decorations! Some of the quickest temporary decorations you can add to your work place are those are simple papercut hanging decorations. Hanging snowflake decorations are so easy to make by hand or they can be bought from online party retailers. Even with decorations, the festive cheer might be quite low so why not organise a secret santa or a Christmas card swap? Secret Santa gifts can be sweet, practical, funny or awful but either way, they are a great way of bring the Christmas cheer...or arguments into the work place. Swapping cards and decorating the office with them is another easy way of decorating for Christmas. Finally, less of a decoration and more of a Christmas cheer amplifier! Some of my favourite Christmas songs include: the fairytale of New York, all I want for Christmas, Santa baby and I wish it could be Christmas everyday. Blaring Christmas song at home or at work is a sure fire way to lift the mood, decrease work and Christmas stress and to help with motivation which might be very lacking this week! Furniture At Work is hosting a festive competition on social media which involves decorating your work space and sharing a photo on social media with the hashtag #DeckYourDesk and you could potentially win a cash prize of £500! Check out their twitter, facebook and instagram to enter. 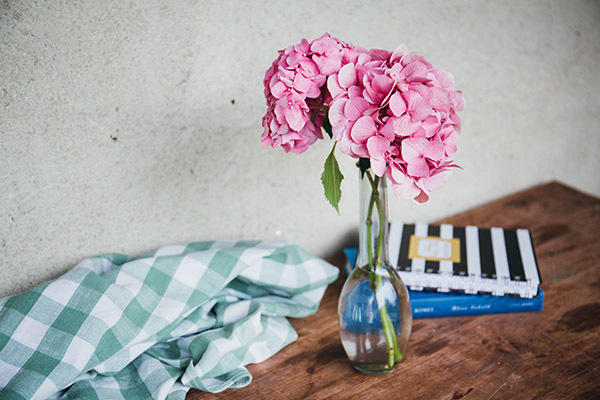 Have you decorated your work place or your home office? Will you be entering the competition with Furniture At Work? 2018 is almost upon us and with it comes the plethora of New Years resolutions and 'new year, new me' promises that are rarely kept; I'd like to say that it is nonsense and I don't ascribe to changes with each new year but I'd be lying. This year I have actually fulfilled one of my New Years resolutions (that I have kept making for the past three or four years but never actually did anything about...) and that is to eat healthily, become more active and to lose weight, all of which I've done this summer and I've managed to stick to it since so it is possible! My diet is 100% vegetarian and it has been since I was around 11 years old and now my diet is mostly vegan with only a very small amount of dairy or eggs, I exercise even if it only a small amount every weekday and I use the Lifesum app to monitor my calories, carbs, fat and protein intake which has helped so much with my weight loss - I've lost just over 19lbs! 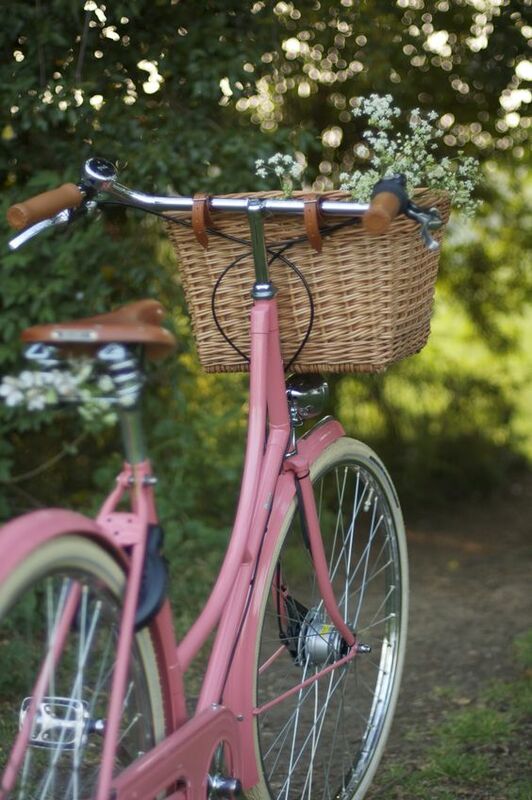 However, I want to improve by becoming more active and potentially start cycling or kayaking which as someone who refused to take part in PE all of her life (unless it was table tennis), is almost unthinkable! Something that I have been thinking about more and more recently is about becoming fully vegan/plant based. 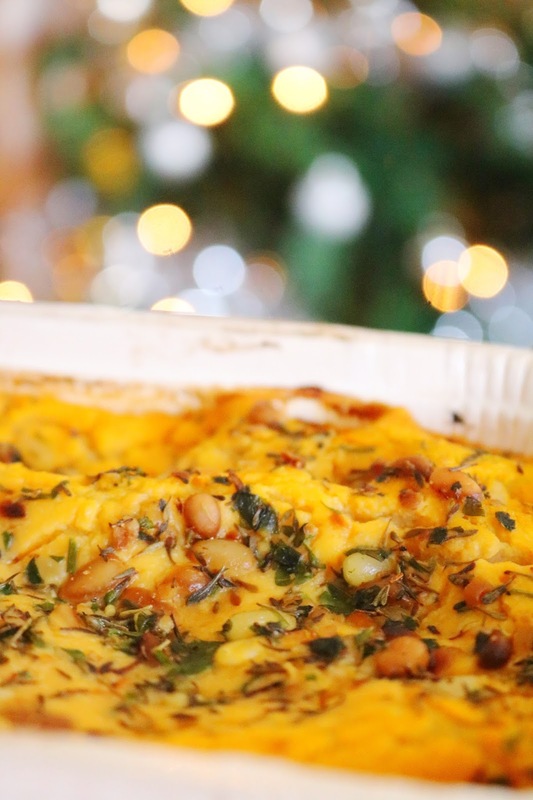 I do adore cheese of all kinds *who doesn't* but I don't really want to support that industry anymore (it's too much to go into now) and being vegan seems like the more environmentally, healthy and ethical option. I will be taking part in Veganuary again this January which will be my third year taking part so who knows! I rarely acknowledge that I'm proud of myself, even when I graduated with a first but one thing I am actually really proud of myself for doing this year is becoming more active and loosing weight. My new years resolution of loosing weight as been going on for at least three years and 2017 was the year that I actually did it and I'm glad that I did as I feel so much happier in myself. This year has been a little bit of a revelation to me and it's made me question my lifestyle and how I want to live. 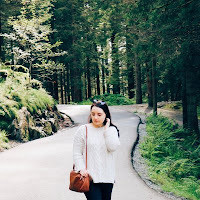 Since coming back from Norway in August which was quite an active holiday with walking around new cities, hiking through Norwegian forests to see incredibly waterfalls and glaciers, I've wanted to become so much more active and spend more time outdoors. I love going for a long walk around nature reserves or parks but I want to take up something like cycling or kayaking in 2018. I used to love cycling growing up and I have been kayaking a couple of times so I'd love to again, now I just need to find someone to go with! I'd also love to go rock climbing which I have done a couple of times both indoors and outdoors, My high school PE teachers would be so proud...and more that a little shocked. Lastly is something I've always struggled with since swimming lessons as a teenager and that is feeling confident and comfortable in swimwear. I've always felt so self conscious about it even though I used to adore swimming and became a really proficient and confident swimmer but now the only thing stopping me is that I don't feel confident in any swimwear! There are so many gorgeous Speedo swimwear options to choose from, all of which I'd love to wear such as the Speedo H20 Active Storms Capri, Endurance Plus Bloom Legsuit and the Speedo Teamster Backpack, so hopefully in 2018 I'll reach that goal and be able to gain enough confidence *fingers crossed*. Simply Swim also have a range fo swimwear for men and children as well as kneesuits (which I love the idea of), legsuits that might be great with a jacket for kayaking (obviously not in the winter, I'd freeze instantly) and even waterproof headphones and tech cases that could make great Christmas gifts! 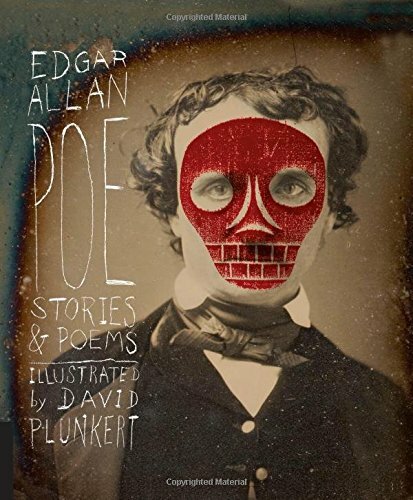 If you order within the next three days, you will get your order in time for Christmas. Do you have any fitness, health or wellbeing goals for 2018? 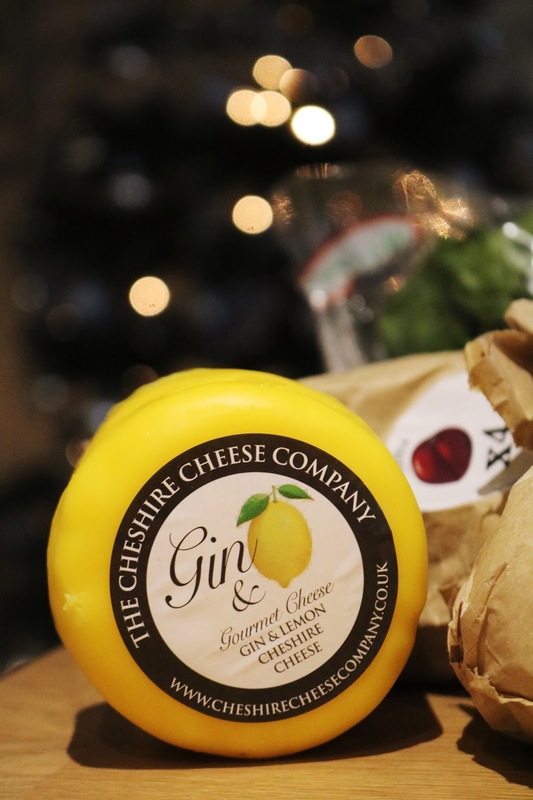 Christmas is just over a week away but you still have time to order online or to pick up gifts in stores, if you are brave enough to tackle the Christmas shopping rush! 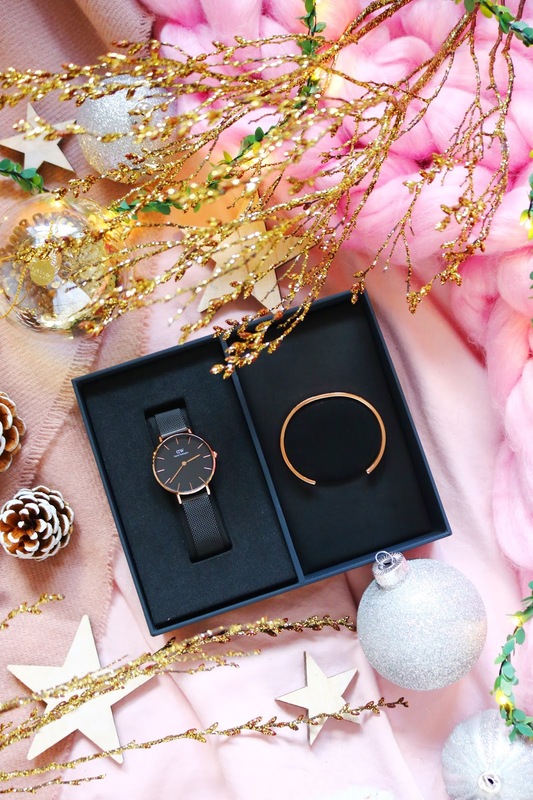 I've published so many gift guides this year which you can check out if you need more ideas but today's post is all about two gorgeous, luxurious gifts for her this Christmas from lovely people over at Daniel Wellington and Cashmere & Silk. I received a gorgeous Daniel Wellington watch from a few years ago and I adore it so I was incredibly excited when this one arrived! I was kindly sent Bundle No.15 from the global Daniel Wellington website but I can't find it on the UK website but you can buy the items in the set individually or you can make up your own bundle in the UK website. 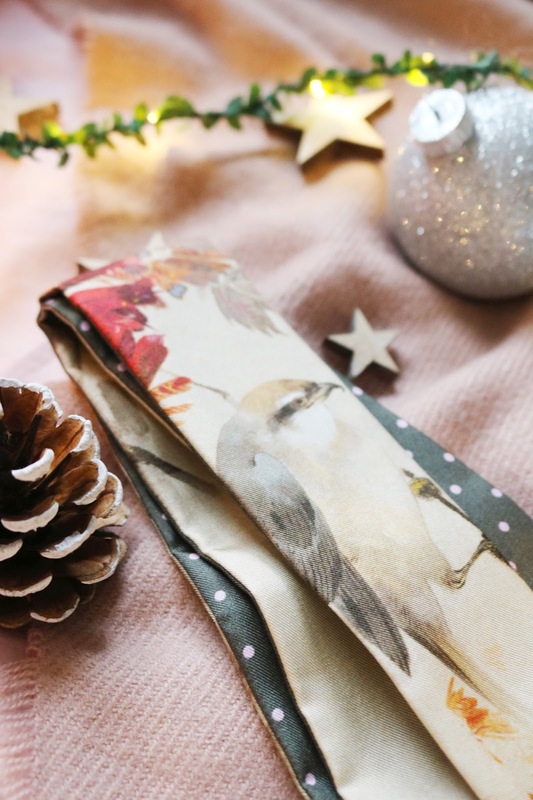 The bundle comes in a gorgeous festive gift box complete with a cute ribbon! If you are like me and struggle to make any gift look pretty and presentable...*sorry to all of my gift recipients, it's not a skill I have*, then the bundles are a great option. You don't have to just choose from the gift sets available as you can mix and match (using the gift set creator) with whatever watch you want as well as whatever strap or cuff you want to go with it. I chose the Daniel Wellington Classic Petite Ashfield in Rose Gold with the 32mm face and the Classic Cuff in Rose Gold in the small size, both of which fit perfectly. The watch also comes in silver, a 28mm face option and the cuff is available in three sizes - S, M and L. There are various options to choose from so you'll be able to choose the watch and strap or cuff option to best suit your gift recipient this Christmas...or as a treat for yourself. Using the gift set creator and buying bundles is a cheaper option than buying the items individually and you get a gorgeous gift box too so it's well worth checking out. There are so many watches to choose from, all of which are gorgeous but I opted for the Ashfield watch (RG, 32mm) as it looks so different to the watches I already own but it still has the beautiful rose gold detailing that I love. 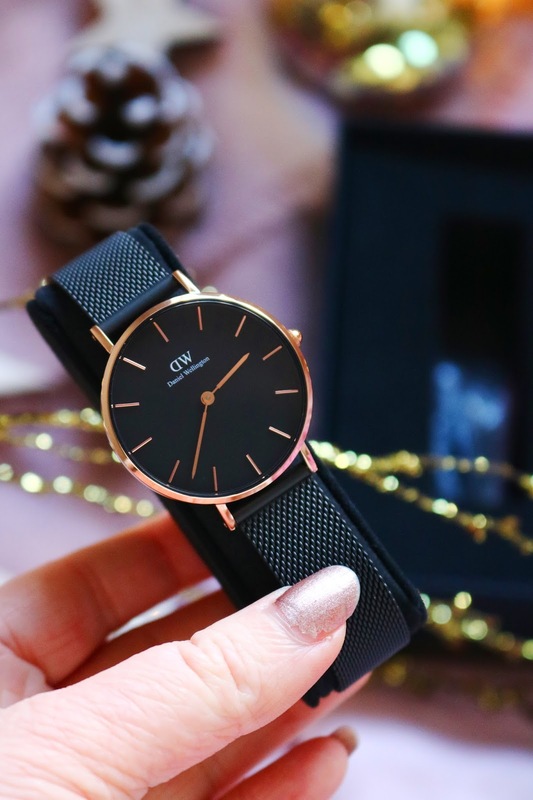 All of the Daniel Wellington watches are so simple and minimal but chic, sophisticated, effortlessly elegant and perfect for so many occasions. The Ashfield watch has an adjustable length between 150mm to 205mm, a strap width of 14mm and unlike some of the other well known watches from Daniel Wellington, the strap is mesh rather than leather which makes it a little more unique. 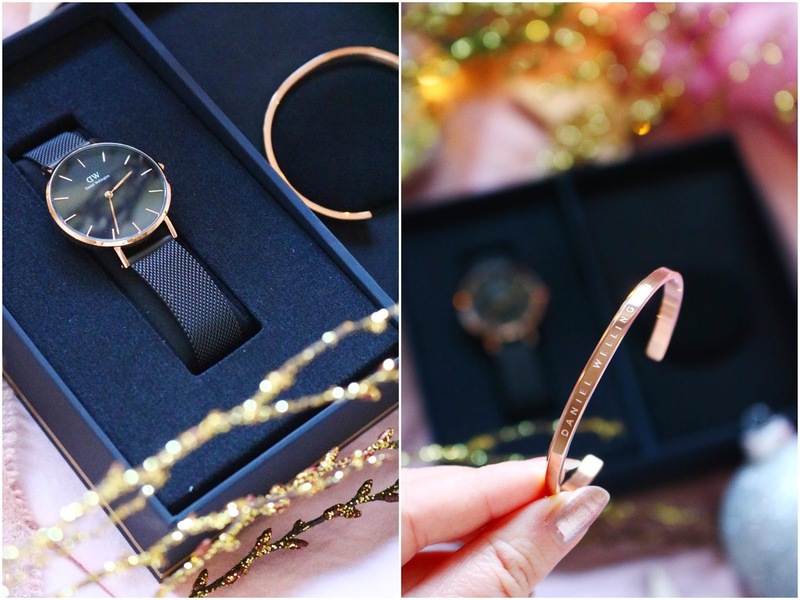 It's a comfortable, chic everyday watch that would make a lovely gift especially as a gift set with the cute rose gold cuff. 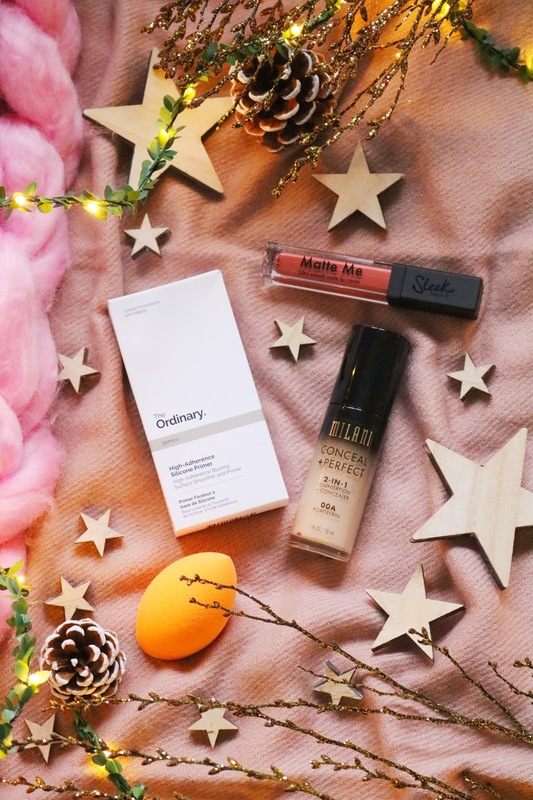 Use the code: OFBEAUTY to get 15% off your order until the 31st December! The code can be used in conjunction with the current 'choose two favourites and get 10% off' offer. For the final item, it's something that so many people would love, especially my mum, as it's a cashmere and silk scarf! 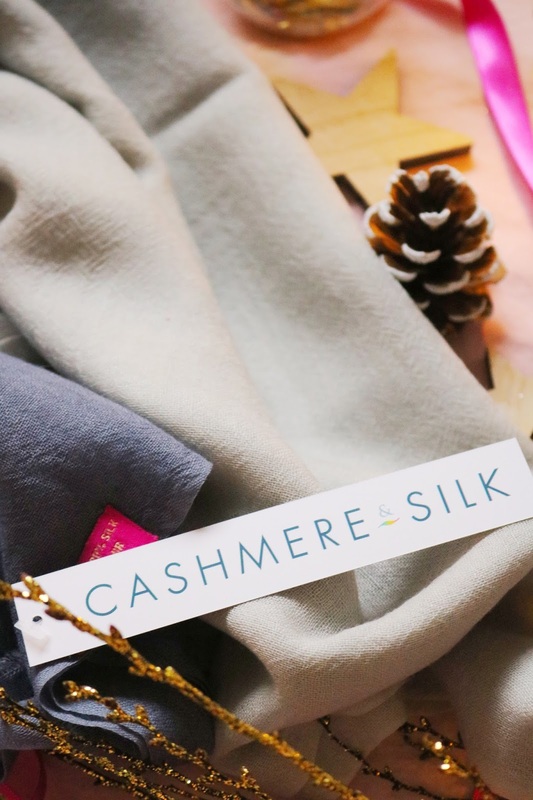 The scarf contains 80% cashmere and 20% silk which makes it so soft, smooth and very cosy for the winter which can be very chilly in the north of England - we have had quite a few snow days already and it isn't even winter yet! The scarf came in a lovely gift box tied with a ribbon so again like the Daniel Wellington watch, it's a great option for those who are like myself and cannot make any present look half decent! 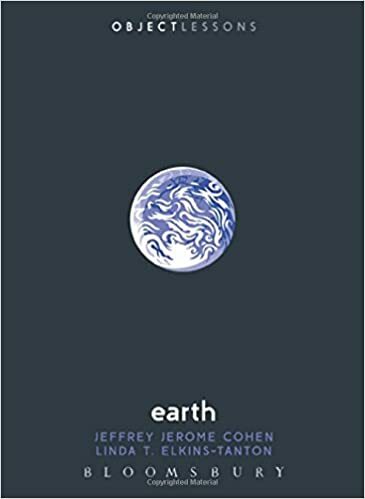 It would make a lovely and practical prepackaged gift for anyone this christmas or as a winter essential for yourself. There are a few options to choose including including a striped, animal print, splash, diamond and boarder design but I chose the ombre scarf in the grey colour as I think it will go with so many of my outfits more than any of the other colours such as orange, purple, red, teal, green, black, burgundy and a few others; I was close to choosing the burgundy option as it's perfect for this time of the year. The scarf came beautifully packaged, it looks so pretty in the box and I love the ombre colour from an almost denim grey to an off with shade which makes it look unique and something your gift recipient might not have in their collection. The cashmere and silk mix make it incredibly warm and cosy as well as soft and luxurious. The size of the scarf is quite large which I prefer but because it's so lightweight and soft, it doesn't look or feel as though you are being drowned in fabric! I haven't been able to photograph the scarf on so far as it's been constantly pouring down since I received it but I'll update this post with photos when I can. It's something most people probably wouldn't buy for themselves as it's a little special and luxe so why not treat someone this christmas season with a gorgeous scarf that will last for many winters to come! Gift wrapping and a personalised message is a little extra but well worth it and if you want a lovely scarf by Christmas you will have to order as soon as possible! What do you think of these special, luxurious gift ideas?